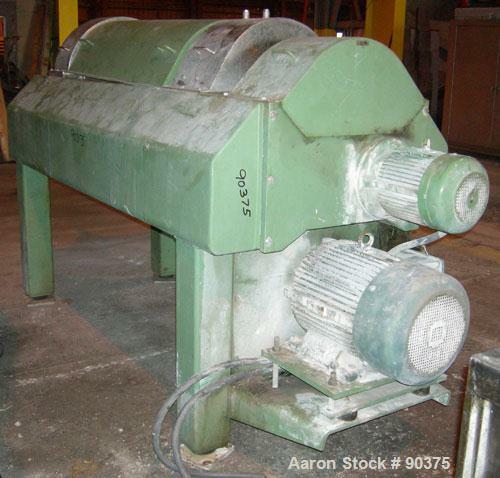 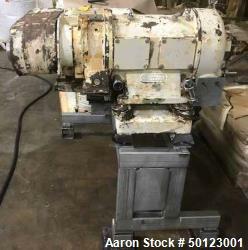 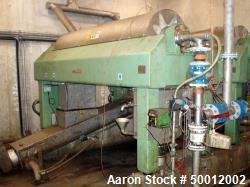 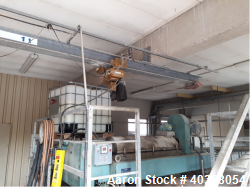 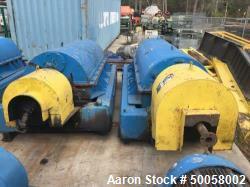 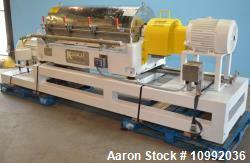 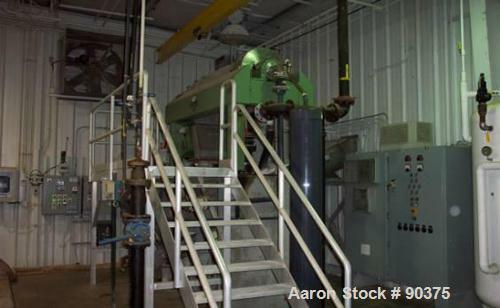 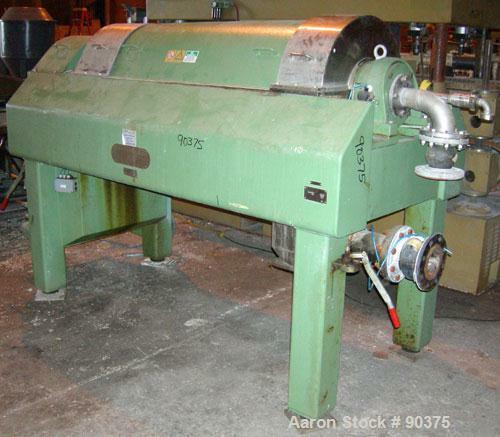 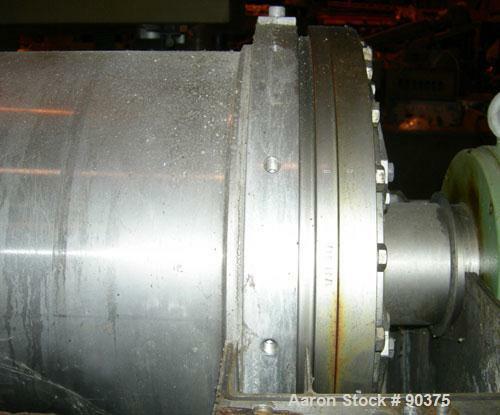 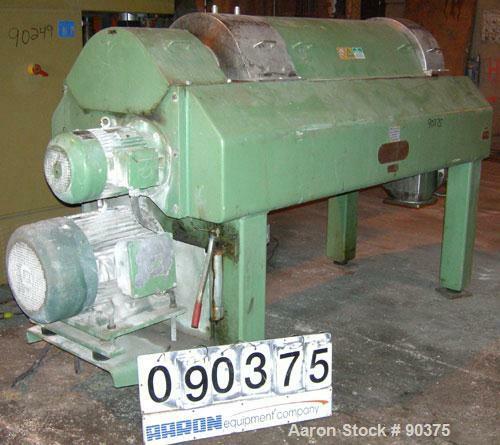 Used- Westfalia CA-450-00-32 Solid Bowl Decanter Centrifuge, 18" x 57", horizontal scroll type centrifuge constructed of centrifugally cast duplex stainless steel. 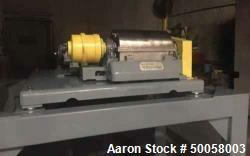 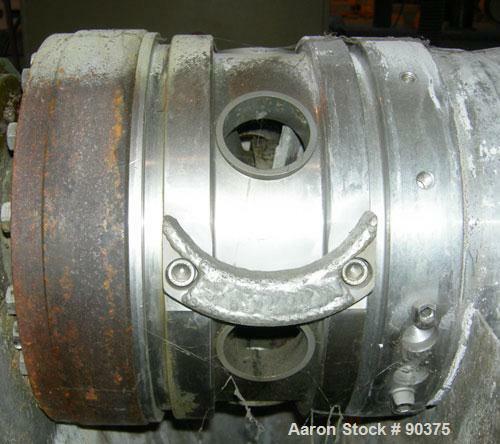 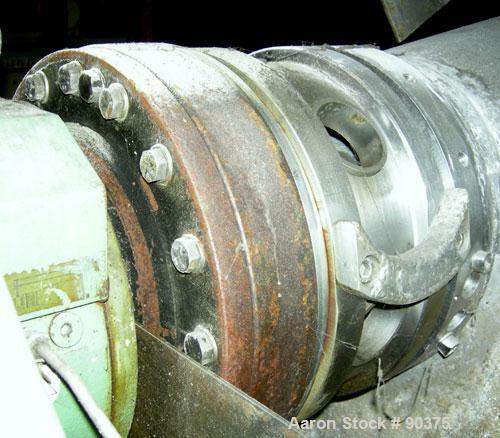 Maximum bowl speed of 3,400 rpm or 3,000 x G. Single flight, hard surfaced scroll conveyor equipped with sprayed tungsten carbide over entire outer diameter and plowing surface. 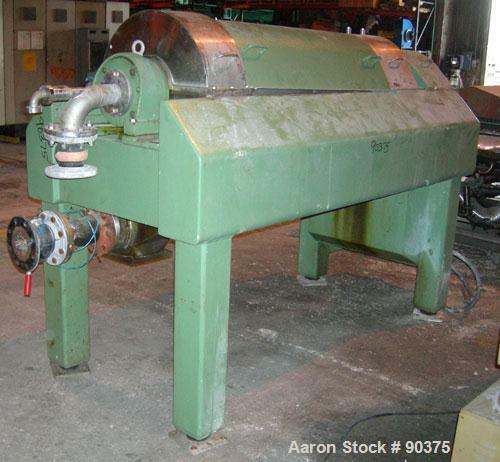 Decanter bowl is driven by a three phase, 30 hp, AC motor mounted in line with the decanter housing which reduces space requirements. 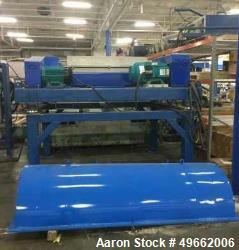 Scroll conveyor is driven by a "2 gear drive" system which consists of two Cyclo gears in series driven by a frequency controlled 10 hp secondary motor. 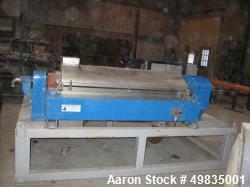 Foundation made of painted carbon steel to raise centrifuge to convenient height for handling solids discharge. 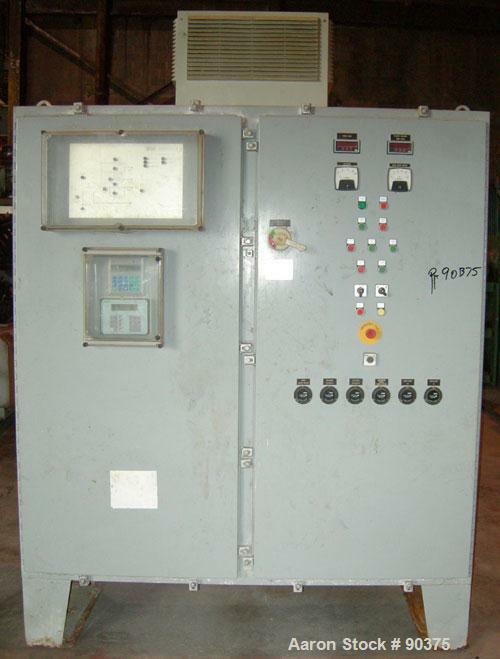 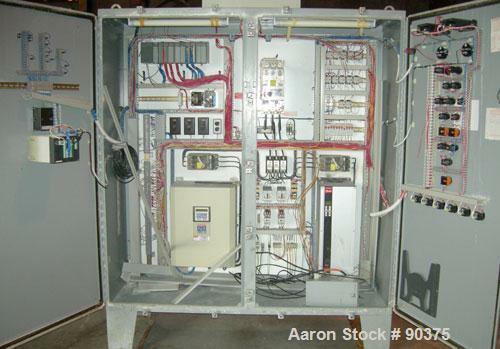 Control panel is NEMA 12 design. 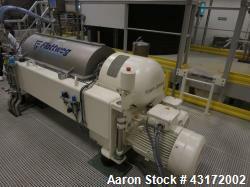 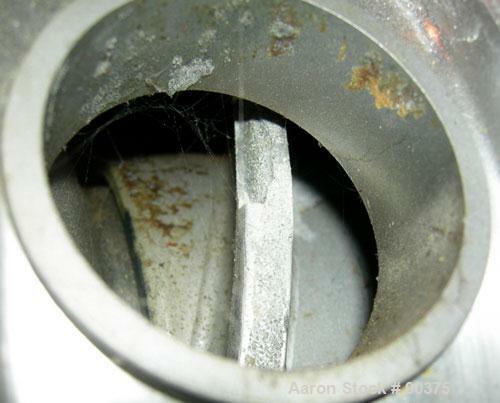 Centrifuge is 1994 vintage with only 12,600 hours of operation.